Egypt quietly marked the fifth anniversary of the January 25 revolution despite the popularity of anti-government hashtags on social media. While at least two protests with dozens of alleged Muslim Brotherhood demonstrators were dispersed, Tahrir Square saw small groups of pro-government demonstrators chanting in Sisi’s favour and handing out flowers to police. In recent days, activists have been vocal on social media, with some calling Egypt more repressive than ever before. “The level of repression now is significantly higher than it was under the Mubarak regime, and people from older generations say it is worse than even the worst periods of the 1950s and 1960s [under the rule of Gamal Abdel Nasser],” said investigative journalist Hossam Bahgat, who was detained in late 2015 by Egypt’s military intelligence, to the Guardian. 6 April Youth Movement had issued a statement on Sunday declaring that they will not hold any demonstrations, calling on people to wear black as a sign of “refusal of the state the country has reached”. On the same day, the Muslim Brotherhood, while not calling for any action, said in a statement that there shall not be “any compromise nor reconciliation with the coup regime”. They also upheld their rhetoric that the group will not give up the legitimacy of their elected president Mohamed Morsi. Nevertheless, Egypt’s President Sisi remained steadfast while addressing the nation hours before the revolution’s anniversary. “We celebrate today the anniversary of the people’s revolution which saw the country’s best youth pay with their lives for new blood [a better future] in Egypt,” said President Sisi, adding that the 30 June 2013 protests had ‘corrected’ the path and vision of the revolution. The anniversary of the revolution had been preceded by a wave of raids by security forces on apartments in downtown Cairo. The raids were intended to ‘prevent criminal behavior,’ according to official police statements but were largely seen as a crackdown on potential demonstrations. Nevertheless, instead of driving the focus away from the anniversary, the raids resulted in numerous local and international headlines that highlighted the revolution and what has happened since then. 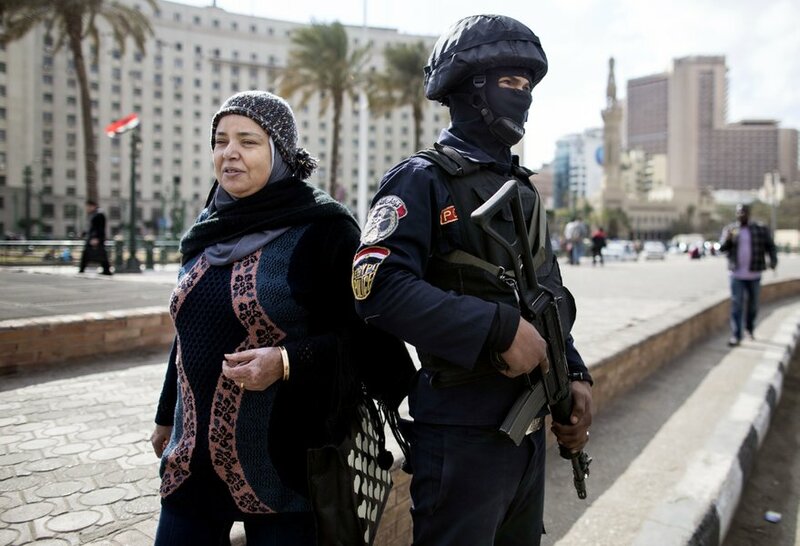 However, while Egypt’s police may have managed to prevent major protests, violent and terrorist acts continued to occur in the lead up to the anniversary. On 21 January, 10 people, including seven policemen, were killed in an explosion claimed by ISIS in Cairo’s Haram area. Meanwhile, less than a day before the anniversary, another three people were killed in an attack on a police checkpoint in Sharqiya. Politically, Egypt’s 2016 started with a new parliament. Disastrous scenes and arguments resulted in a vote to ban all live-streaming of parliamentary sessions in an effort to curb “grandstanding” by members of parliament. The new parliament, with 448 independent seats, 120 party-based seats and 28 presidential appointees, is Egypt’s largest parliament to date and the first in four years. The new parliament marks Egypt’s third parliament to be elected since the January 25 revolution in 2011 and marks the final stage of the ‘June 30 road map to democracy,’ which was implemented after the ouster of former President Mohammed Morsi in July 2013. While thousands of young Egyptians gathered in Tahrir Square in 2011 calling for bread, liberty and freedom, it appears that in 2016, the discontent youth are chasing other paths to achieve a brighter future.